other information Glanlea Records CDLEA2001, 2000. 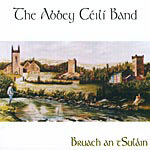 Recorded 15 April 2000 in Macroom, Co. Cork. Tracks 1-6 are for the Corofin Plain Set, 7-11 for the Borlin Set, 12-17 for the Caledonian Set, and 18 for the Ballyvourney Jig Set.